Cactus Mat's Dri-Dek 2554-TC 2" x 2" burgundy interlocking vinyl drain tile with beveled edges. 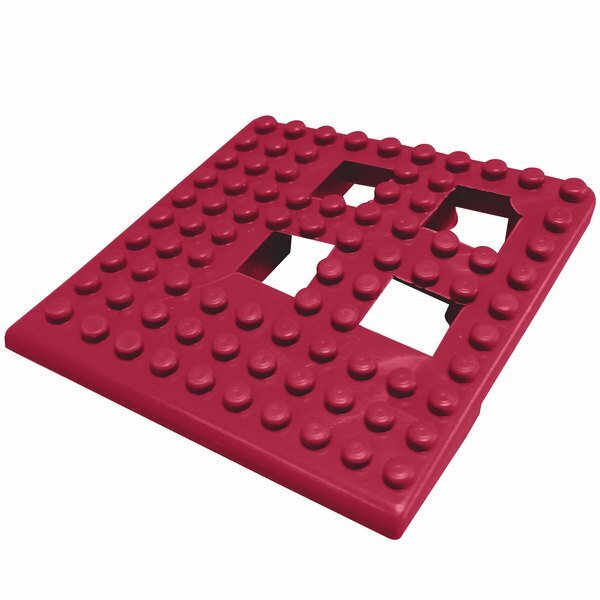 This corner drain tile is part of the Dri Dek flooring system, designed to drain and prevent mold and mildew growth in wet areas. Contains oxy-B1 Vinyl. Meets OSHA regulations. An essential piece of tile for a Mat to protect our counters. This is burgundy corner tile fits perfectly on edges and connects to other tiles.